Running an optician’s, whether you're practising or dispensing, can take a lot of hard work, with a range of risks involved that could compromise your financial position. 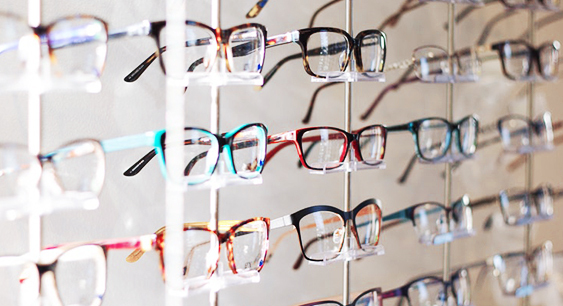 Whether you own an independent optician’s practice or operate as part of a bigger health care unit, insuring your business could prove to be crucial. As glasses are made up of fragile components, much of your business’s stock and contents could be considered to be at risk of breakages and damages. Contents and equipment insurance can provide cover against accidental loss or deliberate damage to stock, equipment, fittings and fixtures. It may also offer protection in the event of damage caused by unfortunate events such as accidental fire, flood or storm. It is a mandatory requirement to have employers’ liability insurance in place if you employ people in your business regardless of how much they are paid or the number of hours they work. If an employee gets injured while carrying out their duties, they may seek compensation from you, claiming that safety precautions were not in place. In such instances, this form of insurance can help to compensate or cover the expenses you might incur. For more information, such as how much is employers' liability insurance? Click the link. Your optometrist’s practice may suffer unforeseen damage from incidents such as bad weather, floods or fire, which may lead to an adverse impact on your business. In such instance, you may not be in a position to trade from your premises, resulting in loss of earnings. You may also not be in a position to manage overheads, which are likely to build up while you are out of action. Business interruption insurance can provide cover for your expenses and compensate for the revenue you lose during the time it takes to get you up and running again. Given that you will have people visiting your practice for eye tests and consultations, public liability insurance is likely to be an essential part of your insurance package. That’s because the policy is recommended for all businesses that involve deal directly with the public on a daily basis. If a customer gets injured or their property suffers damage within your business premises, they can allege that your business has been negligent and claim compensation. Public liability insurance can cover the expenses you may incur as a result of such incidents. As an optician, there may be instances where you visit homes of customers to provide eye care services. This provision is available in most optical practices and, if yours is one of them, you might consider opting for insurance for when you’re working outside your practice. On these occasions, you would naturally carry the necessary equipment for eye tests and other related checks – making you vulnerable to risks of damage and theft. This form of insurance can provide protection against loss that may occur during your offsite assignments. There may be instances where a customer claims to have suffered an injury as a result of using a product you’ve recommended to them. For example, you become accountable for a situation where a customer you prescribed spectacles to returns complaining of discomfort and eye pain. Product liability insurance can protect against financial damage that may arise as a result of such instances.